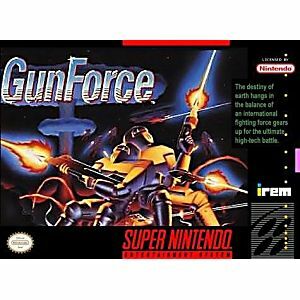 GunForce SNES Super Nintendo Game Cartridge Cleaned Tested and Guaranteed to Work! 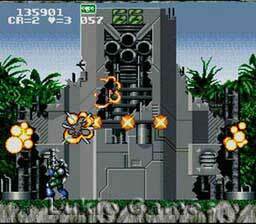 High-Tech Tactics Save Earth Enemy commandos are unleashing a diabolical plan to destroy Earth. The stakes have never been higher. The enemy has never been tougher. The destiny of every country on Earth hangs in the balance, and a call has gone out for a multi-national force of battle hardened fighters. 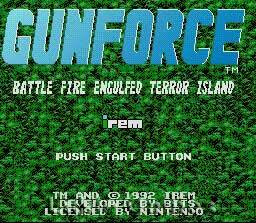 This is the GunForce. They come from every corner of Earth. And they bring with them the ultimate fighting skills! 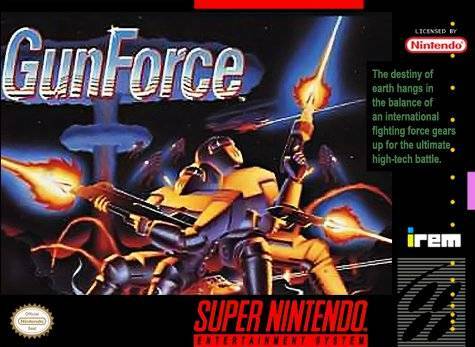 Without a shadow of a doubt this is the absolute WORST side scrolling shooter I have ever played on the SNES. Trust me. Unless you are a collector or have a nastolgic connection with this game, stay away from it. The creators of this game should be ashamed of themselves.